H6D-50c Medium Format DSLR Camera is rated 2.5 out of 5 by 2. Rated 3 out of 5 by Anonymous from The good, the bad, and the ugly I just got into medium format after shooting Canon for over 20 years. I still continue to shoot canon as it's a different tool. The H6D 50c arrived because the 100c I ordered is delayed. THE GOOD: I find the H6D to be very impressive with the 100mm and 120mm lenses I ordered. Having the ability to shoot up to 1/2000 of a second is great. I compared the Phase One 100mp XF body to the H5D at a trade show (March 2016) and found the Hasselblad to feel better for me, as it felt lighter, more comfortable to hold, the rear autofocus button better placed, and the HB seemed like the autofocus locked on faster using the same targets in the convention hall. The H6D feels just as good. The color and tonality are superb. The autofocus is very accurate and yields 90%+ of perfect focus during portrait shoots. Wifi images to ipad is mostly reliable and immediate. THE BAD: When I first got my H6D the camera would always freeze when the self timer or ipad remote app was set to over one second. That's been fixed but it does speak to the possibility that this product was rushed. Also the ipad app does not know if the camera is shot vertical, so all of my vertical portraits are sideways on the ipad, then rotated sideways when the ipad is rotated. That is still not fixed. The ipad app gets overwhelmed with more than a few hundred images and becomes unresponsive. The camera freezes some times a lot other times not at all. I already had a shoot that latest 1.5 hours where the camera froze 5 times, where I had to remove and reattach the battery. Maybe this is normal for Medium format, so I'll give a pass. THE UGLY 1)PHOCUS IS HORRIBLE; Hasselblad's software is very slow even when using it on my 8 core extreme cpu with a gtx 980. I ran the same HB raw files through Lightroom, making 1:1 previews and Lightroom had about the same quick performance as editing Canon 5d mk3 raws. The problem is Lightroom does not do as great of a job with contrast and color, or else I'd ditch Phocus. Phocus takes FOREVER to render thumbnails. When you look at an image and go back to view thumbnails, they all have to redraw, taking just as long. Phocus also does not have a perspective control like Phase's Capture One. 2) NO GOOD WIDE LENS FOR 100C; The 24mm lens recommended to me by HB, has serious barrel distortion and lens vignetting, which Phocus does a good job of correcting until you notice there are hints of uneven stretching from the barrel correction. Also I found out when talking with HB tech support staff that the 24mm and 28mm are cropped lenses and not recommended to use on a full frame sensor like the 100c. So the 24mm was returned. I looked into the 35mm; went to a local camera store and shot test images using my H6D 50C. Well that lens yielded uneven sharpness across a city-scape. I shot from a camera store's 4th floor open window. I also was told by a few industry folks that HB's 35mm is a dog and it needs to be updated. So if you're using a H6D 100c, your widest sharp lens is the 50mm (31mm equivalent to 35mm format). What a let down. I hope Hasselblad will release a full frame 28mm, or at lease update the 35mm. Conclusion: Would I trade in the HB for the Phase if I had the opportunity? No. I photograph mostly people for clients and I think one of the most important camera qualities is sharp focus. In my tests, the HB bested the Phase. I love my HB 100mm and the 120mm lens. I also plan on shooting some personal work in landscape and travel, and will most likely use the 100c back on an Alpa camera with a Rodenstock lens, so no need for Hasselblad to step up to the plate with a proper full frame wide. If I was mostly into architectural photography, then I would recommend the Phase with an Alpa/Rodenstock, as Capture One has a great perspective control. Best of Luck. Cheers!! Rated 2 out of 5 by Clyde from H6D-50C has too many glitches and is unreliable I purchased a new H6d-50C from B&H in late August of 2018. I received the camera, read the manuals and videos posted about set up and how to use the camera. I did a few tests in natural light and was pleased. I took my time to learn the system, because the H6D-50C makes you slow down. It does not fast like my D5 or D850 do. I did not think that a problem, it made me become more deliberate in shot taking and set up. The next few times I used the camera, after 20 or so shots, error codes would come up and and render the camera unusable. I would call Hasselblad tech support, and they were able to rapidly assist me in trouble shooting the error codes. I did this on 3 separate occasions. The last time i used the camera, about 2 weeks ago, I took it to a bridal show, wanting to test it further and get some stunning bridal images. 30 shots into the show, the camera fails, I could not remedy the error 1000 code. Fortunately, I had my D5 with me and the Nikon Trinity, and was able to resume shooting and get a lot of good images. Just not the imagesI hoped to capture with the Hasselblad. I called tech support and the code could not be sorted out. I had to send it to Hasselblad US for service. This is a camera with under 1k clicks on it. After a week of hearing no updates from service, I called to get an update on the repair status, I was informed the camera would have to be sent back to Sweden for service and it will take a minimum of 3 weeks before I know what is going on with my camera. I am totally dissatisfied and disappointed with the performance, reliability, and failure to meet expectations. How can a brand, the pro ports itself to have the worlds best camera system that delivers stunning image, deliver a camera so friable, and incapable of being used on a shoot? I was not even offered a loaner while the camera is being serviced. I was told only premium warranty owners get loaners. I was not aware there was any other warranty options at the time of purchase. I also learned that if I want a loaner, it would cost $1500. My new camera is a paper weight, and now I am asked to pay $1500 for a loaner? I am totally dissatisfied. As a member of NPS, I would have been sent a loaner. I am thinking of selling this camera system and the lens I purchased upon its return. I cannot use a camera, that I cannot trust to get the job done, and the H6D-50C has failed to deliver on the Hasselblad Brand implied promises of being the pinnacle of medium format digital cameras that deliver unrivaled image quality. 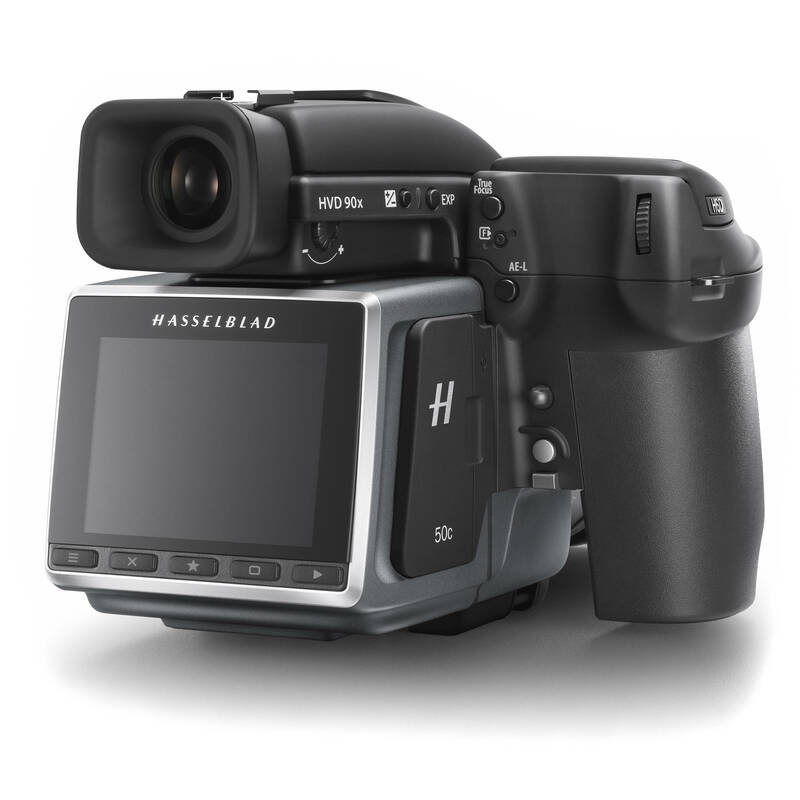 can you use the HDMI on the Hasselblad h6d-50 to live view it or just use the wifi live view? Yes, both the HDMI output and the Wi-Fi Live View feature would be able to display video wirelessly. If you are using an external monitor, the HDMI output would be recommended for your needs. For wireless needs, the Wi-Fi Live View would work with compatible iOS smartphones and/or tablets when using the Hasselblad Phocus Mobile app. Ive always wanted a Hassleblad, dont ask why :) .. I have a Pentax 645Z,, there is a .79 cropfactor does the H6D50c also have one? If so, what is it?